Should Face Masks Become A Part of Your Daily Skincare Regime? Conventionally speaking, the mask’s primary function is to help us relax and feel pampered even at home. Not anymore. This season’s crop of facial masks may feel luxurious, but their focus is on action — targeting problem areas, providing everything from exfoliation to lift. From a monthly indulgence, masks are quickly becoming integrated into the daily skincare regime. “With advanced technology and ingredients, it is possible for masks to be applied more frequently within a weekly routine,” elaborates Avni Amlani, international skin care expert at Dermalogica India. Face packs have been a potent beautifying tool in many ancient civilisations. It is believed that Cleopatra applied egg whites onto her face for smooth and firm skin. Empress Yang Guifei, of the Tang dynasty in China, used a paste of white jade, ginseng, lotus root starch and pearls to brighten and maintain her natural beauty. Indian princesses were known to apply a paste of sandalwood, saffron, turmeric and crushed roses to achieve that royal glow. With face masks staging a comeback of sorts, it is encouraging to find age-old beauty secrets being revived in modern, convenient packaging. Kiehl’s Turmeric and Cranberry Seed Energizing Radiance Masque evens out skin tone, with the crushed berry seeds exfoliating for an illuminated look. Dermalogica’s Charcoal Rescue Masque contains high-quality Binchotan white charcoal, revered for its purifying benefits. 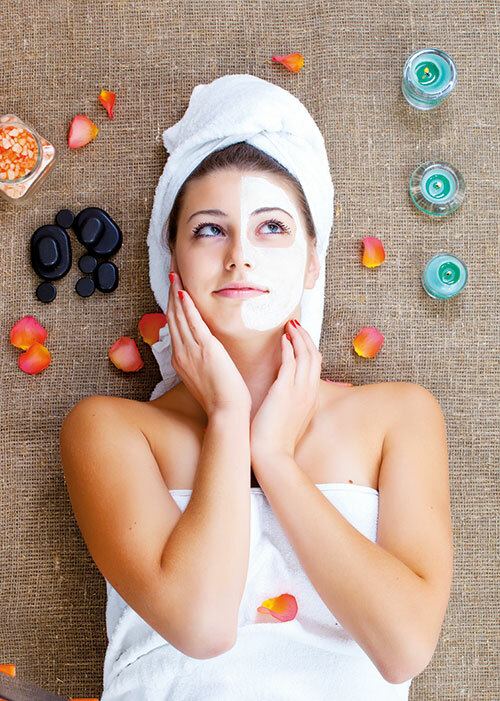 From jet-setting CEOs to brides and mothers, sheet facials have become a big hit. It is a non-fussy option for when you don’t want to lie back and gaze at the ceiling. Just cut open a single-use sachet and fit the gauze-like sheet, infused with hydrating and detoxifying concentrates, onto the contours of your face, and carry on with your daily chores. MaskerAide masks, popularised by Hollywood celebrities, are drenched in a rich argan-oil-based serum that is packed with vitamins and nutrients but free from parabens and sulphates. As a twist to the standard version, Estée Lauder Advanced Night Repair Concentrated Recovery PowerFoil Mask comes with silver foil, allowing deeper penetration of the hyaluronic acid known for its ability to prevent moisture loss from the skin. “The foil also blocks the harmful UV rays from every single device you could be working on. So go ahead, enjoy your favourite movie or work on your office project as you indulge your face with some tender loving care. Invest 10 minutes once a week, and your skin is set for the week ahead,” adds Leila Marx, national education and special events manager for Estée Lauder, South Africa. Overnight masks are another variation especially suited to dehydrated urban complexions. Don’t worry about putting on a timer for washing these off. Apply as a night cream, sleep in it and wake up to skin that’s nourished, brighter and younger looking. Skin Caviar Luxe Sleep Mask, imbued with caviar extracts, can work as an overnight moisture-firming mask when used lightly as a night cream. The natural exfoliation enzyme smoothens, softens and improves the skin in as little as one application. Immortelle Crème Masque by L’Occitane combines pure immortelle essential oil and vitamins A and E for deep hydration. The Body Shop’s Drops of Youth Bouncy Sleeping Mask, enriched with edelweiss stem cells, is also formulated to be left on while you sleep. In an innovative spin on traditional application, Bobbi Brown’s latest facemask trio set — Detox, Skin Nourish and Radiance Boost — plays with the concept of mapping your face for mask application. “There are areas on your face which could be oily, like the T-Zone, while some could be drier, often around the cheeks. How can one face mask work for all the face? Why waste a purifying formulation on areas that are not oily?” quizzes Eliano Bou Assi, director of education and artistry at Bobbi Brown Cosmetics. Exploring the concept of ‘face mapping’ even further, Dermalogica offers a complimentary service at its counters. “One could have dark under-eye circles, breakouts in the chin area, yet the skin on the cheeks can be dehydrated and sensitive. Here one can choose a charcoal-based mask for cheeks and the chin area and then apply a creamy multi-vitamin mask for the eye area,” Amlani explains. Taking a sophisticated route is Clinique’s Sculptwear Contouring Massage Cream Mask. A luxurious formulation, it is massaged into the skin, not by hands but by using the brand’s Sonic System Massage Treatment Applicator, for precise stimulation of the skin. Bamboo, pea extracts and glucosamine add lift to sagging skin by increasing the natural production of hyaluronic acid, collagen and elastin, while sweet almond seed extract provides a tightening sensation. 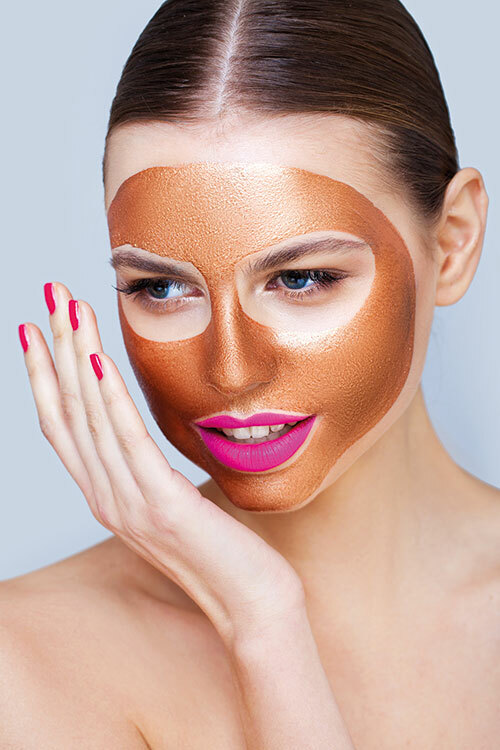 Commit to masks on a regular basis instead of occasionally flirting with them, if you desire a healthy, radiant complexion!